When thinking about a healthcare emergency preparedness plan, how much does compliance matter in your disaster communications? If your organization is in the throes of a power outage from heavy storms or a cyber attack that’s left your network down, thoughts of compliance may not be top of mind. 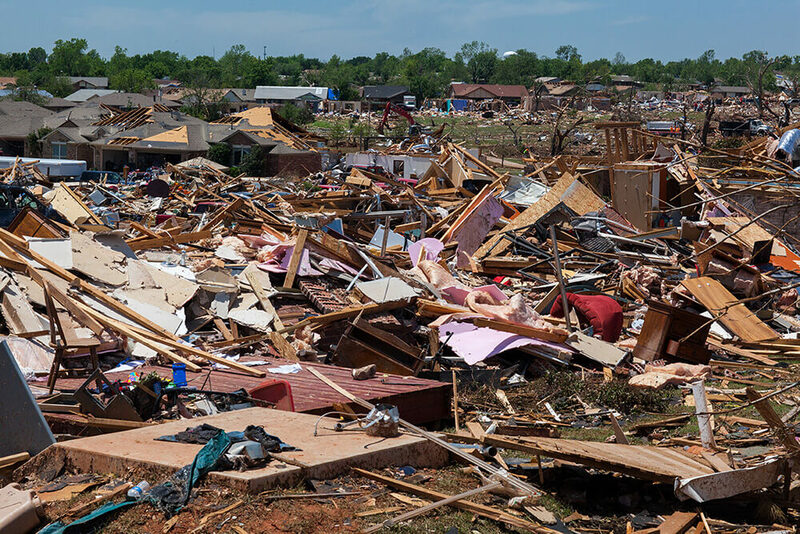 If you think compliance doesn’t matter in disaster recovery, you’d, unfortunately, be wrong. That’s why you need a compliant, secure way to continue communication. A secure texting app is a great backup. However, do your due diligence when choosing a provider because not all of these apps have the same functionality and security. When disaster strikes, one of the biggest challenges is communication. Disaster communication is critical in ensuring patients get the care they need, and care teams stay connected. The immediate two-way conversation via a secure texting app on a smartphone enables this and more. The concern is that in times of high-stress and panic, compliance will take a back seat for convenience. Clinicians may use standard SMS messaging to contact individuals that could include protected healthcare information (PHI). Standard texting isn’t compliant or secure. Give your clinicians the tools they need to stay connected and compliant in healthcare emergency preparedness. 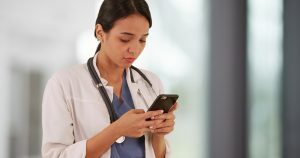 One of the great benefits of using the right secure texting app is its ability to upload text and images to the electronic health record (EHR). When faced with a disaster, your connection to the EHR may be unavailable. But you still need to ensure that important information is available to add to it post emergency. You can’t update the EHR when the network is down. So, how will you add important information? A provider may think taking manual notes is a good way to retain the information. Pen and paper aren’t dependent on power or network connections, but it’s neither efficient nor convenient. Staff would have to revert to antiquated methods. They’ll also have to recall how to store and manage their paper documents in accordance with policies. Policies they may rarely use. Another option providers may seek goes back to their personal device. They may think they can just use their notes application on their smartphone. It’s only a few notes, they may think. But what if the personal phone is breached? It would be very easy to steal any personal information. Then not only would your organization be dealing with disaster recovery, but it could be subject to the monetary consequences of HIPAA noncompliance. The best solution is a secure texting app. You can upload any information from the app to the EHR as soon as it’s up and running. Remember, not every app works the same. You will need to specifically ask about EHR capabilities, including if the app can interface with your EHR provider. Find an app that will save the notes for future upload. With the Qliq secure texting app, be prepared for disaster. Continue to communicate with peers and patients all from the safety of the app. It keeps healthcare teams connected so they are able to provide the best care, without sacrificing compliance. You’ll stay fully compliant with HIPAA and meet the guidelines of emergency preparedness from CMS and the Joint Commission. You can learn more and receive a free plan review and assessment. Get started today.